Minister of Housing and Urban Development, Aminath Athifa has been served summons by the Parliament for questioning regarding the Hiyaa Housing Project. 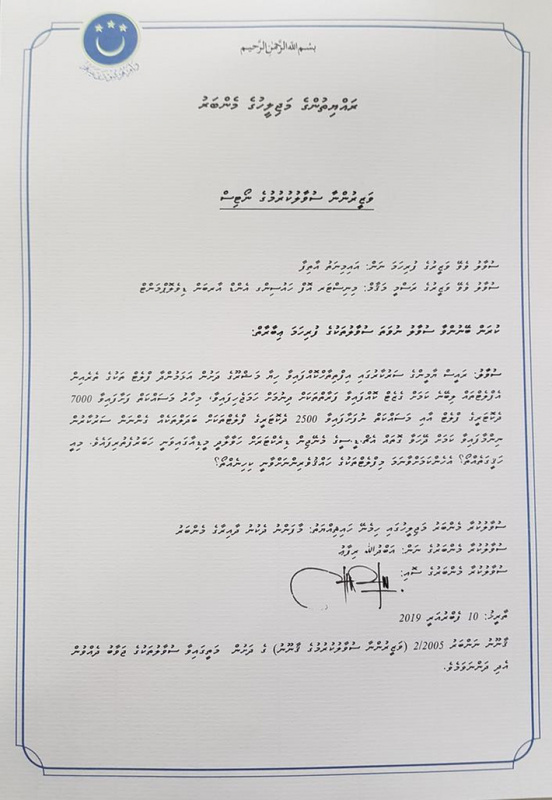 The summons was sent by South Maafannu MP Abdulla Rifau this Sunday. Rifau has shared a picture of the summons via his personal Twitter account. The MP reports he wishes to question Minister Athifa regarding media reports quoting the Managing Director of Housing Development Corporation (HDC) which hint at plans to modify the 7,000 two-bedroom housing units under construction and 2,500 two-bedroom housing units which are yet to be constructed under the Hiyaa Housing Project. Rifau said he wishes to establish the accuracy of the reports and inquire as to what will happen to the tenants who have already been assigned the housing units. Regulation for questioning of Cabinet ministers dictates the summons must be sent through the Speaker of Parliament. The questioning will be held at an open sitting of the Parliament held after 14 days from the date the summons is served. Hiyaa Housing Project was launched by former Maldivian President Abdulla Yameen Abdul Gayoom’s administration. The tenants of the housing units were announced issued certificates of receipt during the very last days of his administration. The current administration, after coming to power, established a committee to investigate complaints from the general public alleging unfair selection of tenants based on political factors with many who received higher points failing to qualify. More than 22,000 people has applied for the Hiyaa Housing Project – underscoring the country’s severe housing shortage. 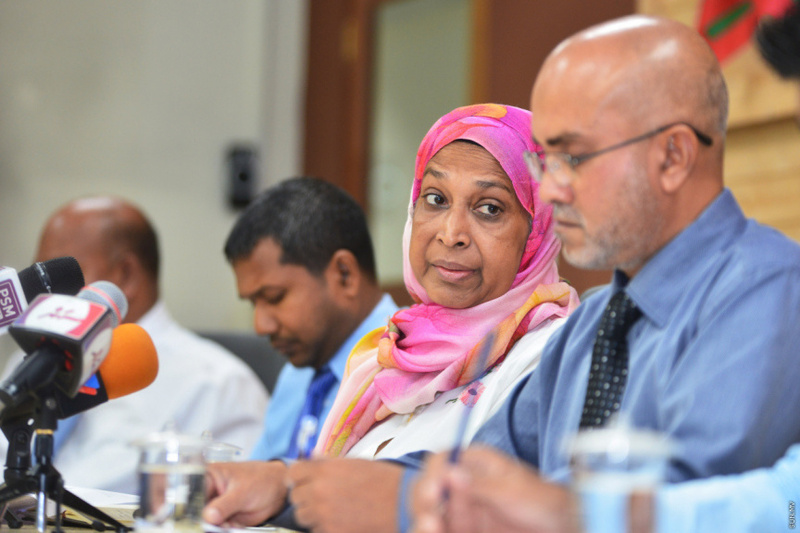 Current administration’s Minister of Housing, Athifa has stated a decision on the current tenants of the housing units will be made only after the committee completes its investigations. Maldivian President Ibrahim Mohamed Solih, too, has publicly criticized the Hiyaa Housing Project which he said were rife with serious challenges and lacked proper planning. “How can anyone live in a 400-square-foot area with two bedrooms, a sitting room and a kitchen? This needs modification,” said Solih, during a press conference.